Grace Anderson is another one of the phenomenal women who won the Guide Like Liz Scholarship in 2018. She is unwavering in her pursuit of the outdoors and spreading her joy to others along the way. She grew up in Staunton, Virginia, and went to college at Winston Salem State in North Carolina. Before college, she didn’t really consider herself an “outdoorsy” person. Before that, Grace wasn’t really interested in conservation. She was an elementary school major at the time, but this professor randomly recommended this program. “It was awesome,” she said wholeheartedly. Grace descending Pingora in the Wind River Range, Wyoming. From then on, Grace made environmental education her priority and worked in many states including North Dakota and New Hampshire. She started working with NOLS in 2013 in Lander, Wyoming. Climbing in Wild Iris, Wyoming. Throughout her outdoor and environmental education experiences and background, Grace has found her heart for connecting more people, especially those with limited access and/or marginalized access, to the outdoors. 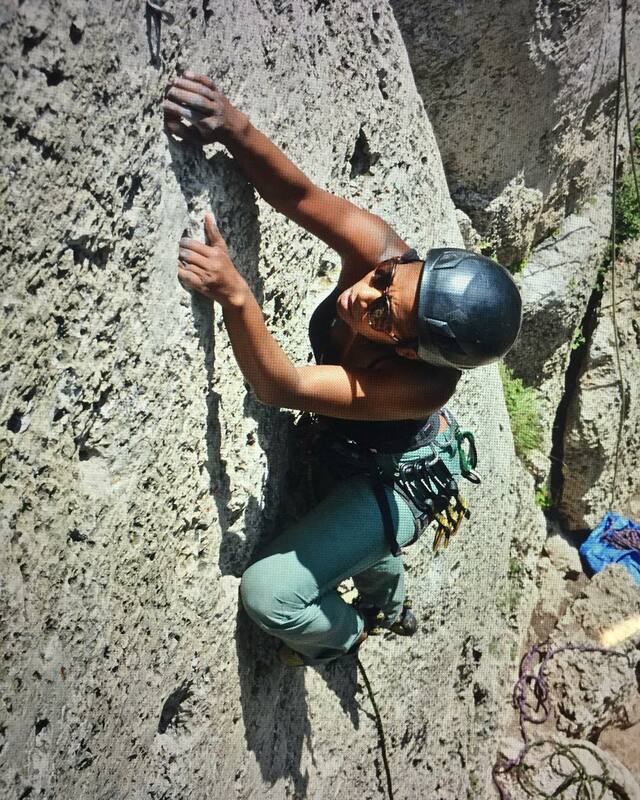 She intends on taking the AMGA Single Pitch Instructor Course and Exam with her scholarship. 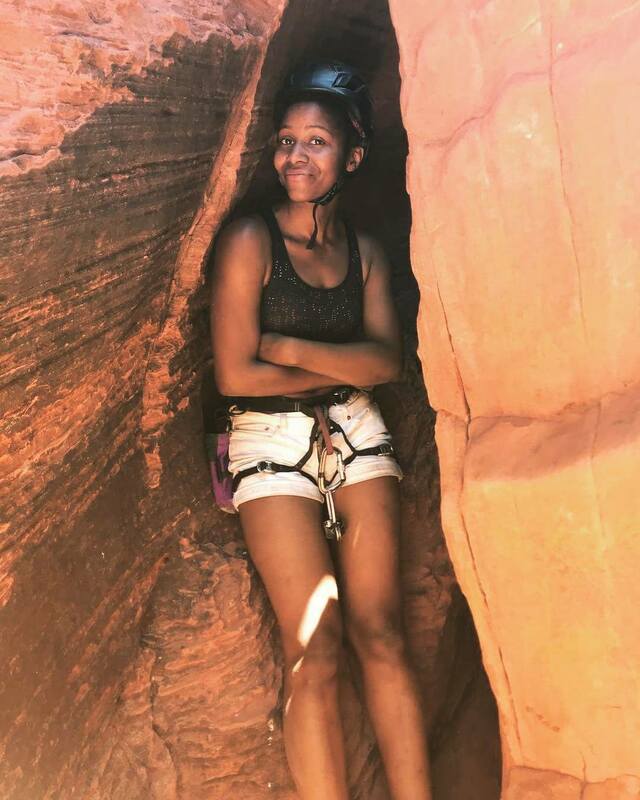 She is involved with organizations like Brown Girls Climb and GirlVentures that have similar goals. “The best way to increase the diversity of the outdoors and who is leading in the mountains is to radically share skills. With opportunities like the Guide Like Liz scholarship, we have the ability to change the narrative of who is out front in the outdoors and to invite other people, previously excluded, in,” she wrote. 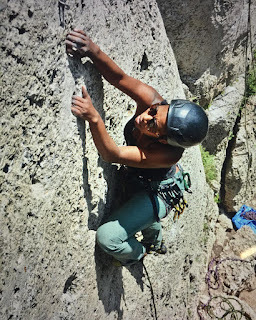 When we talked more about short and long-term goals she has for herself, she said, “I am at a place where I know a lot about climbing, but the biggest barrier is certifications and learning to lead students in certain ways. I have taken climbing seminars, but I want something more generally recognized. Congratulations, Grace! Thank you for choosing us to be a part of your amazing journey! Keep crushing! All photos provided by Grace Anderson.